1. Do you dread having to recruit? 2. 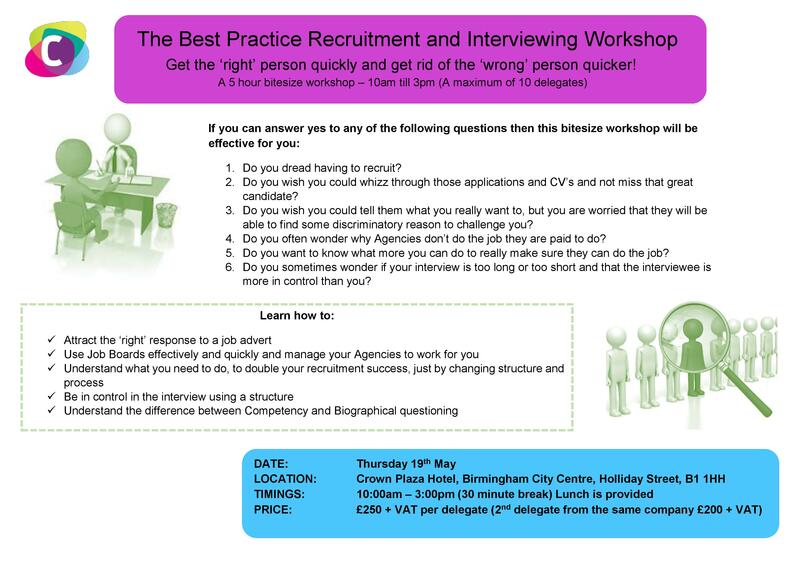 Do you wish you could whizz through those applications and CV’s and not miss that great candidate? 3. Do you wish you could tell them what you really want to, but you are worried that they will be able to find some discriminatory reason to challenge you? 4. Do you often wonder why Agencies don’t do the job they are paid to do? 5. Do you want to know what more you can do to really make sure they can do the job? 6. Do you sometimes wonder if your interview is too long or too short and that the interviewee is more in control than you?